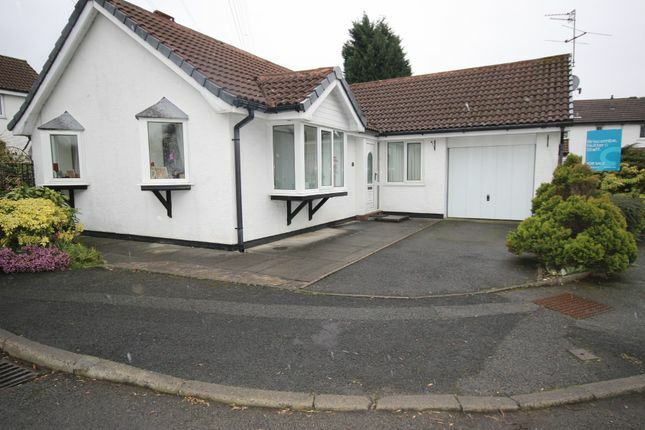 A detached two bedroom home with attractive accommodation in the heart of Worsley Village. windows, as well as French doors which open out onto the garden behind; to extend the living space outside. In addition, the living room boasts a fireplace and is decorated in a neutral and elegant fashion. The kitchen can be found at the rear of the property, and is fully fitted with modern appliances and fixtures, including an integrated dish washer, washing machine, oven and a hob with extractor hood. There is ample surface and storage space, and a breakfast bar for informal dining, as well as a well-lit dining area with views over the garden. The master bedroom contains built-in storage and is served by a modern three piece en suite with tiled flooring and a walk-in shower. A second bedroom is served by a generous three piece family bathroom, containing a bath and storage spaces. EPC Rating D.
shrubbery. To the rear is a vibrant garden, with a well-maintained lawn and raised beds containing plentiful shrubs.. There is also a paved patio area, ideal for dining al fresco during the warmer months. The rear garden also contains a shed, for convenient further storage. 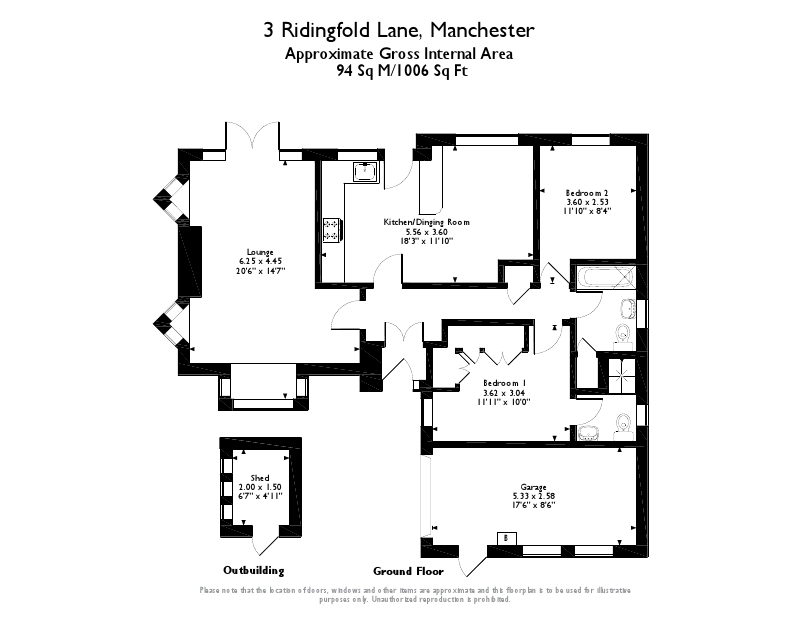 potential within the centre of Manchester, only 7 miles from the property. The property is well connected, being 1 mile from the M60 and 1.6 miles from Patricroft train station with excellent links across the country. There is a good selection of schools within the area, notably the popular St Mark's CofE Primary School which is located just a mile away from the property. There are also plentiful education and employment opportunities in MediaCityUK in Salford. Property descriptions and related information displayed on this page, with the exclusion of Running Costs data, are marketing materials provided by Briscombe Nutter & Staff, and do not constitute property particulars. Please contact Briscombe Nutter & Staff for full details and further information. The Running Costs data displayed on this page are provided by PrimeLocation to give an indication of potential running costs based on various data sources. PrimeLocation does not warrant or accept any responsibility for the accuracy or completeness of the property descriptions, related information or Running Costs data provided here.